Dune Buggy This is an overly coarse model of a dune buggy which needs to be enhanced. 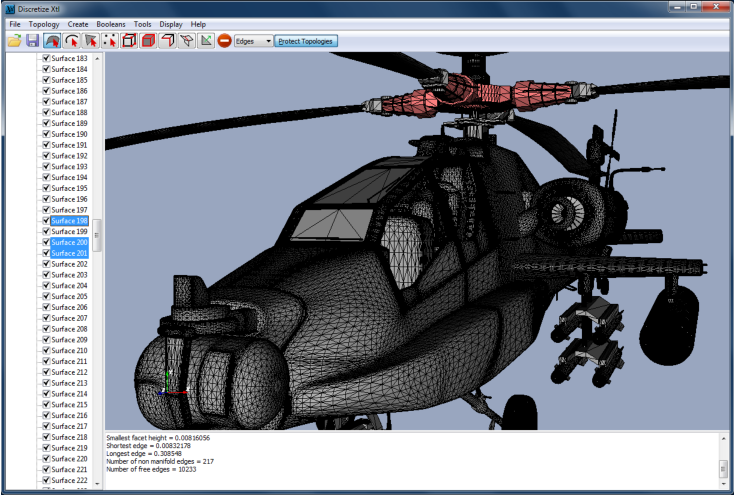 DGK’s refinement algorithm is capable of placing new nodes on a high order interpolation of the surface. 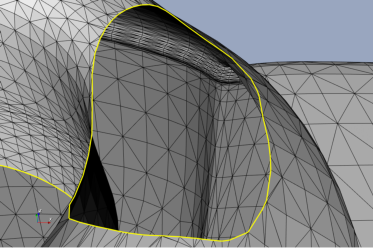 Correctly establishing the feature curves is critical to the success of smooth surface reconstruction. As there is no high level topology in this model, the topology tools are used to separate surfaces and create feature curves which in some areas represent boundaries between surfaces and in others, creases (feature curves internal to a surface). The effect of different choices of topology on smooth surface refinement is demonstrated with respect to a tire. The coarse buggy model with surface boundaries and creases highlighted. The feature curves are constructed by applying an angle based criterion. Feature curves only along the inner edge of the tire. The tire with feature curves along the inner and outer edges. The refined tire. 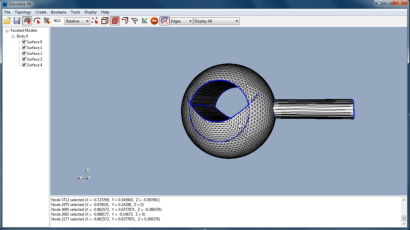 In order to blend the side wall and rolling surface, the outer feature curve is removed and two iterations of curvature based smoothing is applied to get the result below.